The Arkansas Supreme Court began its fall 2014 term with two decisions rendering arbitration clauses unenforceable in Arkansas state courts where such clauses contain no mutuality of obligation. On September 11, 2014, the Arkansas Supreme Court affirmed the Pulaski County Circuit Court’s decision to deny a nursing-home facility’s motion to compel arbitration due to the absence of mutuality of obligation in the nursing-home facility’s admission agreement. See Regional Care of Jacksonville, LLC v. Henry, 2014 Ark. 361. In Regional Care of Jacksonville, LLC, the nursing-home facility’s admission agreements contained arbitration clauses that excluded from the requirement of arbitration “a dispute over billing or collecting for services.” Id. at 3. The Arkansas Supreme Court noted that to have mutuality of contract, “an obligation must rest on each party to do or permit to be done something in consideration of the act or promise of the other; that is, neither party is bound unless both are bound.” Id. at 7. The Court also observed that “[t]here is no mutuality of obligation where one party uses an arbitration agreement to shield itself from litigation, while reserving to itself the ability to pursue relief through the court system.” Id. The Court found that the nursing-home facility’s arbitration clause lacked mutuality of obligation because it reserved the right to litigate billing or collection disputes, thereby excluding from arbitration the only likely claim it might have against a resident while strictly limiting the residents to arbitration. Because the arbitration clause imposed no real obligation on the nursing-home facility to arbitrate its own claims, the Arkansas Supreme Court held that the arbitration clause could not be enforced. The following week, on September 18, 2014, the Court handed down a 4-3 decision in Alltel Corp. v. Rosenow, 2014 Ark. 375. The majority opinion in that case determined that Alltel’s arbitration agreement was not enforceable because it lacked mutuality of obligation. Succinctly put, Alltel provided itself with an “out” to the required arbitration; Alltel customers, such as Rosenow, however, were limited to pursuing relief against Alltel in the form of arbitration, while Alltel alone was provided absolution if it chose to pursue an alternate remedy. The dissent claims that “the majority has reached well beyond the limited issue presented on appeal, which is based on Alltel’s conduct and not a specific provision within the contract.” Id. at 16. While the dissent takes issue with our decision in this matter using the analysis that we do, the question presented to this court is whether the circuit court erred in finding a lack of mutuality of obligation. The issue of mutuality of obligation was raised to, and ruled on by, the circuit court. Although we have reached the same result as the circuit court in a different manner, the result, conclusion, or decision is the same—mutuality of obligation is lacking. Had we determined that any other element required for a valid contract was not present, then we would have contravened our precedent. But, to be clear, we have in no way raised an issue sua sponte, because the mutuality-of-obligation issue is squarely before us. Following these recent decisions, parties should expect any questionable arbitration clause to be contested in litigation in an Arkansas state court. Although the Federal Arbitration Act (FAA) might be applicable, it is state contract law that ultimately decides whether an arbitration clause will be enforced in state court. These recent decisions indicate that the Arkansas Supreme Court will be hesitant to allow an arbitration clause to be enforced where there is no mutuality of obligation. 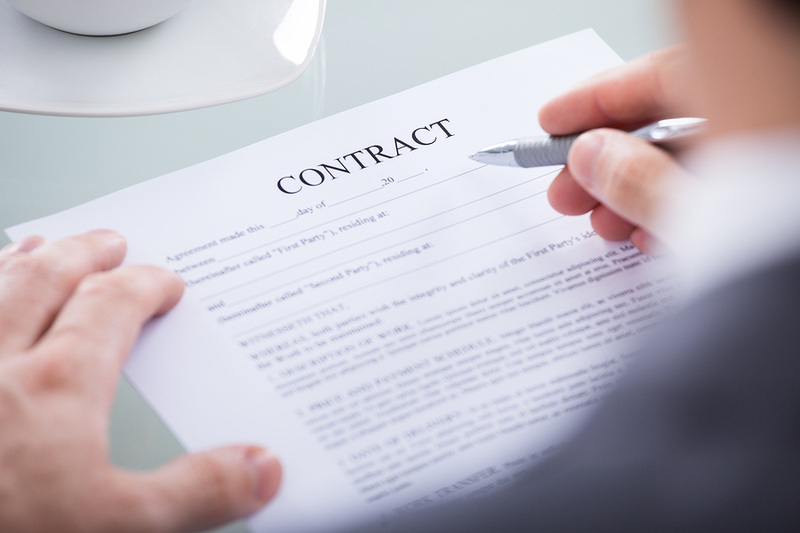 Under Arkansas contract law, arbitration clauses either bind both parties or neither party is bound to such an agreement. Although there was some dispute among the members of the Court as to how the Rosenow case should have been decided, it seems fairly certain that where an arbitration clause is clearly one-sided (thereby imposing no real obligation to arbitrate on one party to the agreement, as was the case in Regional Care of Jacksonville, LLC) the Court seems to be in agreement that such an arbitration clause will not be enforceable. Be aware that a similar argument will not fly in an Arkansas federal court. See Enderlin v. XM Satellite Radio Holdings, Inc., No. 4:06-CV-0032 GTE, 2008 WL 830262, at *10 (E.D. Ark. Mar. 25, 2008) (holding that “Arkansas law requiring mutuality within the arbitration paragraph itself is preempted by the FAA because it places the arbitration clause on unequal footing with other contract terms that do not each have to be mutual.”); see also Southeastern Stud & Components, Inc. v. American Eagle Design Build Studios, LLC, 588 F.3d 963 (8th Cir. 2009). In Regional Care of Jacksonville, LLC, The Arkansas Supreme Court acknowledged these federal decisions and expressed its disagreement with them. 2014 Ark. 361, at 11-12 n.7. If you’re interested in reading more on this topic, I recommend the following law review article: Katherine B. Church, Arkansas and Mandatory Arbitration: Is the Feeling Really Mutual?, 65 Ark. L. Rev. 343 (2012).